Successful writers have to speak in public eventually. It might be a festival or radio show, TV interview, podcast, panel or keynote. It will happen eventually, so why not prepare now with this book on public speaking. As creatives in a crowded world, we can no longer sit in our rooms, creating alone, if we want a viable income. Increasingly, we have to be out there in the world, sharing our knowledge and being visible in order to have a successful career. Public speaking can be an extra income stream, or can form an integral part of your marketing. It’s also a good idea to plan for success and authors/creatives often have to speak when they become well-known, so it’s best to start practicing earlier. This book is a starter pack and an easy reference guide with the information that you need the most to speak confidently and professionally in public. 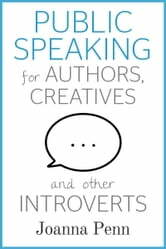 And, although some chapters have specific tips for introverts, much of this information will be useful for anyone who is interested in public speaking, regardless of their personality type. In this book, I’ll share everything that I know as a professional speaker and introverted author-entrepreneur. It contains lots of tips about public speaking in general, based on my own experience over the last five years. 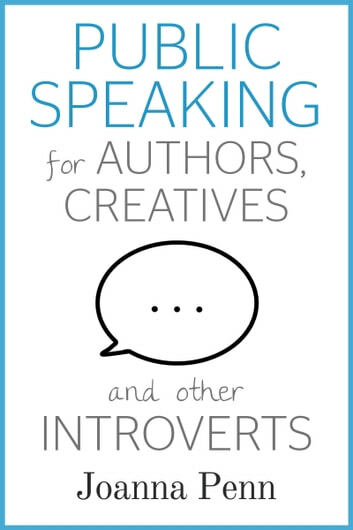 In addition, I cover some specific points that creative introverts need to consider as speakers. You can read this book from start to finish, but you can also dip in and out, as each chapter contains succinct tips that you’ll need at different times on your journey. Part 1 goes into the practicalities of speaking: types of speaking, preparation, your actual talk, and what happens afterwards. Part 2 is about some of the psychological aspects of speaking: your mindset, authenticity, confidence, and tackling the inevitable anxiety, which we all feel. Part 3 discusses the business side of speaking: financials, marketing, and how to create multiple streams of income. Part 4 contains interviews with three fantastic professional speakers, each from a different market, to give you a variation in perspective. Mark McGuinness is an introvert, Clare Edwards is an extrovert and Alastair Humphreys sits somewhere in the middle. There are also videos, audio and extra image-formatted transcripts, so you can experience this information in other modes if you prefer. The Appendices contain resources that may be useful in your speaking journey, including my own speaking checklist and booking form, example sales page and a series of questions for you to answer that will kickstart your public speaking. An excellent reference guide with the information required to speak confidently and professionally in public. This book contains lots of tips about public speaking and interviews with three professional speakers. I definitely recommend this book to other readers. Joanna walks you through everything she's learned about speaking and the business that surrounds it. And with hundreds of speaking engagements under her belt that's a lot of useful information. The interviews of other speakers are also full of helpful insights into the business. Definitely worth reading!